Hundreds of thousands of fans attend the parade to celebrate Washington's first NHL title. 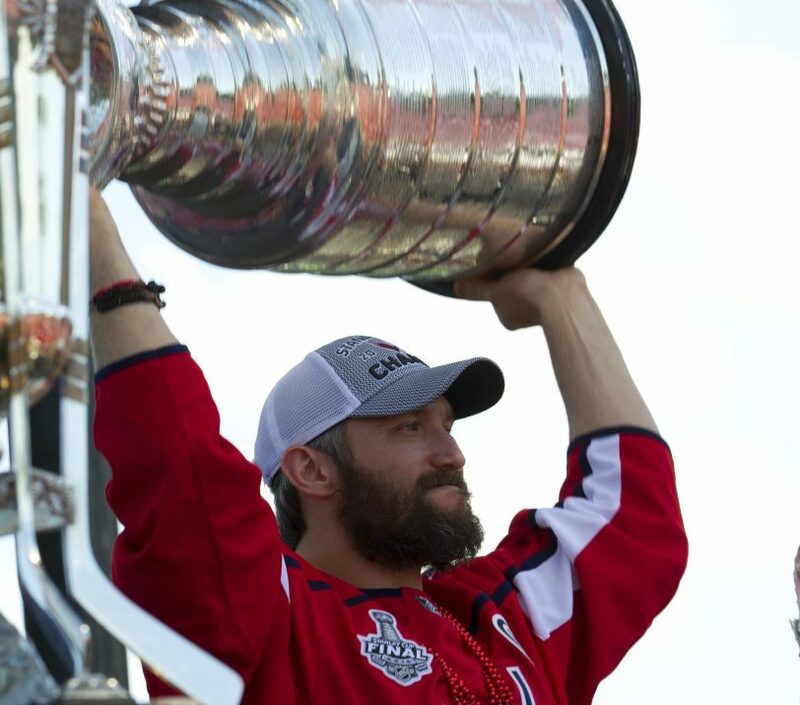 WASHINGTON — Nine early playoff exits paved the way for the Capitals’ unexpected Stanley Cup run and made the trip down Constitution Avenue all the more satisfying to the NHL champions and their fans. Alex Ovechkin and Nicklas Backstrom rode the final bus down the mile-long parade route, lifting the Cup to roaring cheers. The serious work of getting geared up for next season begins with decisions on Coach Barry Trotz, defenseman John Carlson and other free agents.